File 1-0284 - Proposed 4 units, 1528 Camosun St., Victoria, B.C. 2 architectural drawings : diazo and photocopy ; 62 x 106 cm or smaller. 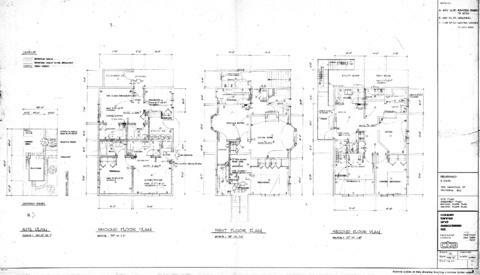 Consists of architectural plans for building at 1528 Camosun Street. Conversion of two-storey house with basement to four suites.